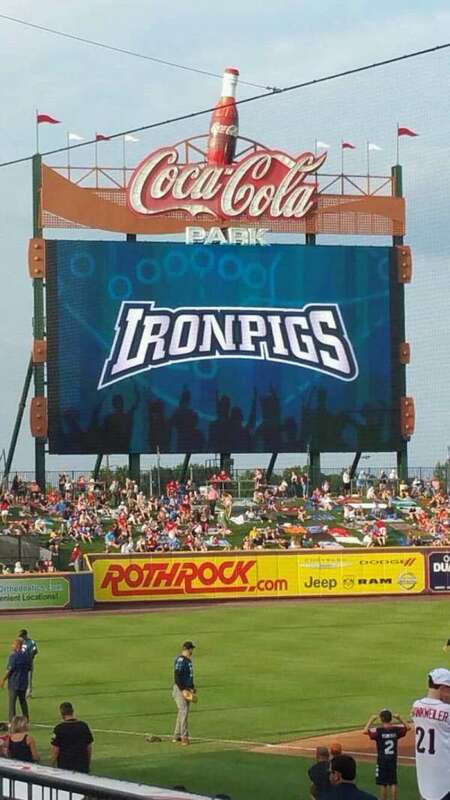 Coca-Cola Park, home of the IronPigs. 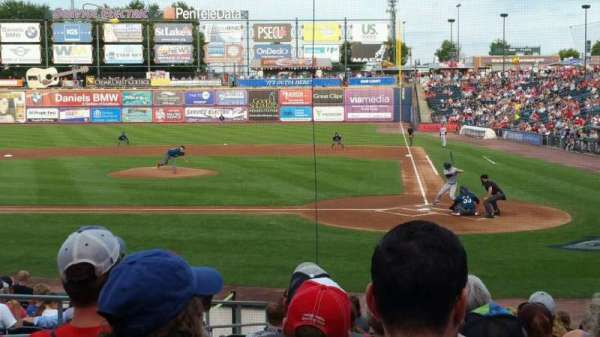 Jerad Eichoff pitches to Tyler Wade. 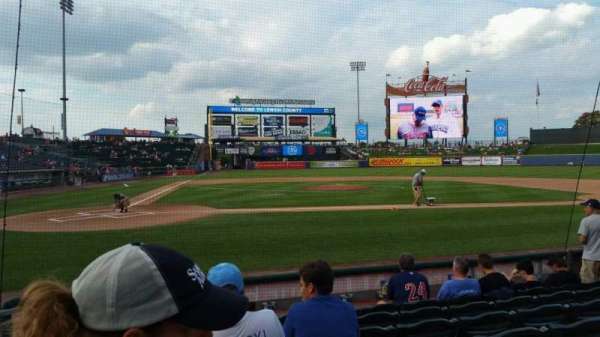 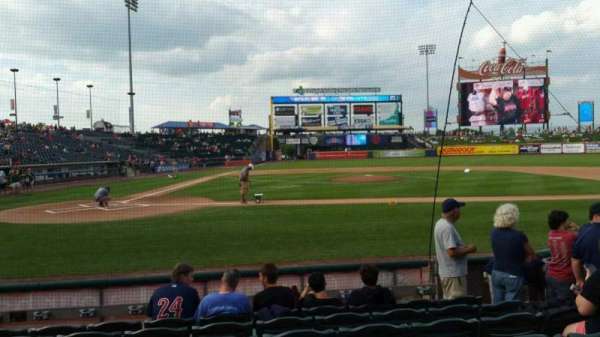 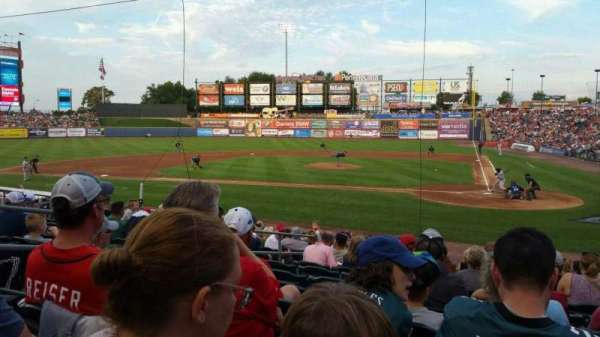 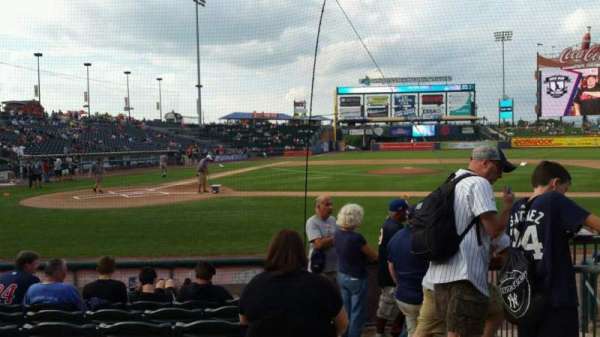 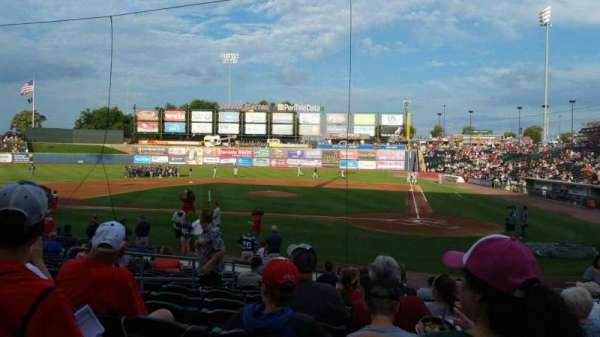 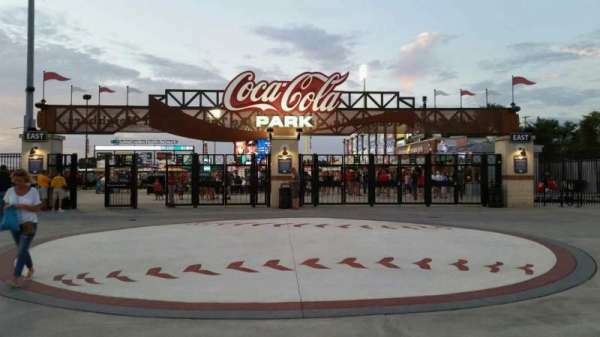 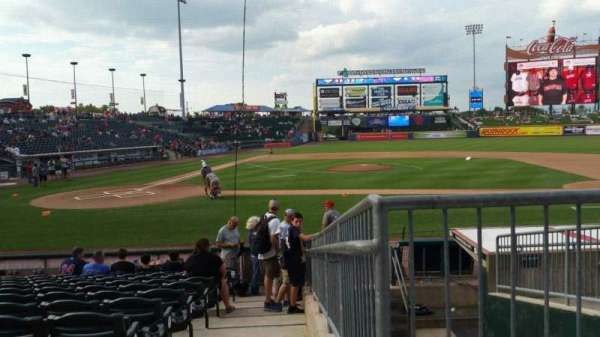 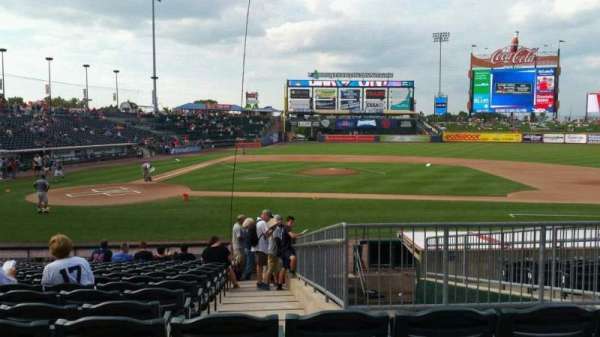 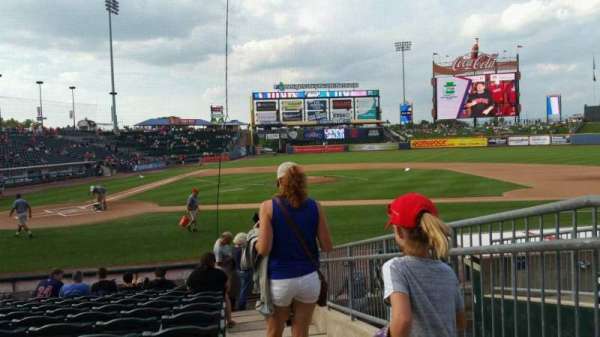 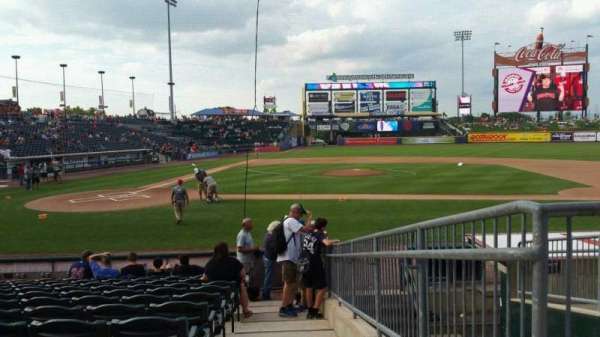 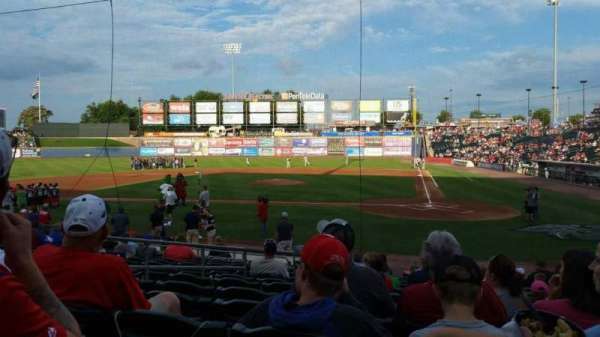 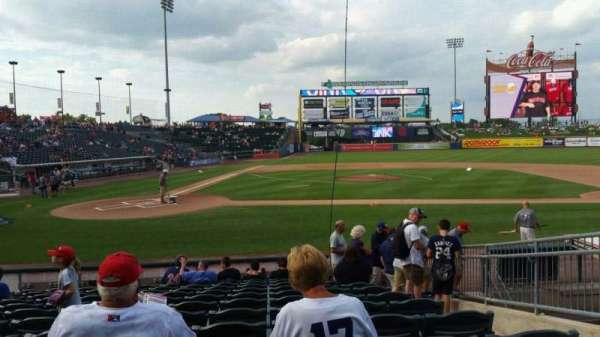 Coca-Cola Park in Allentown, PA, home of the Lehigh Valley IronPigs. 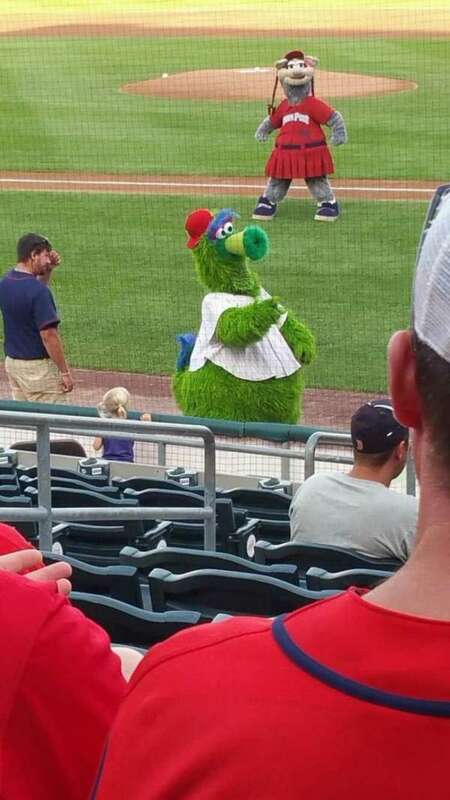 The Phillie Phanatic visits Allentown. 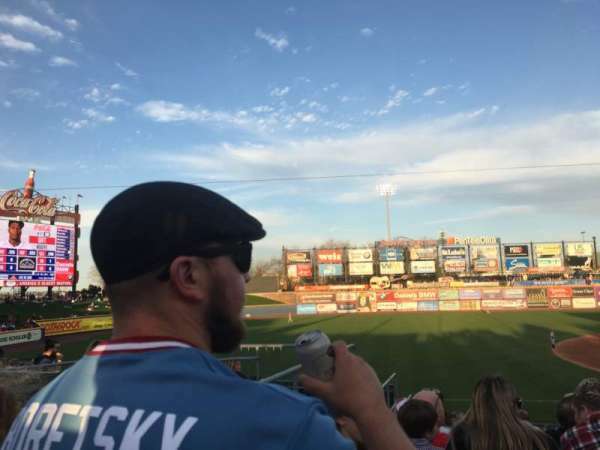 Don't let a great view go to waste. 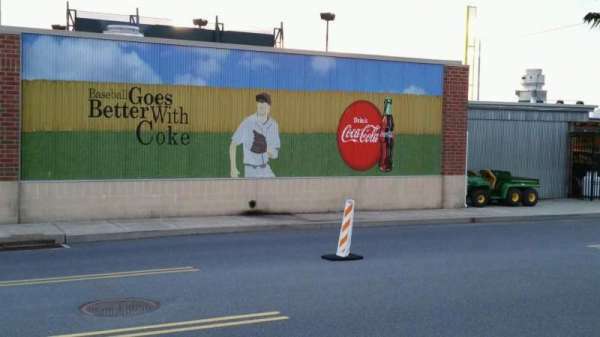 Grab this seat. 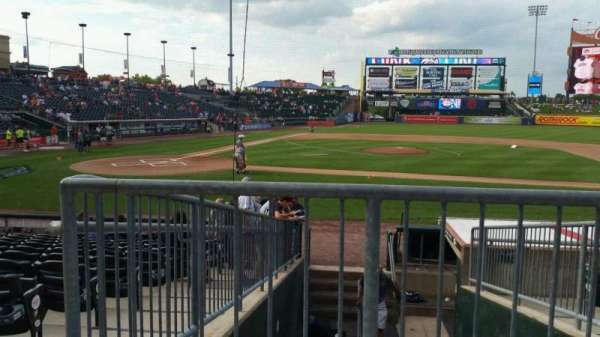 Waste no time, get this seat. 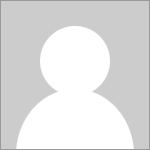 Position near top of aisle causes distraction from lots of foot traffic. 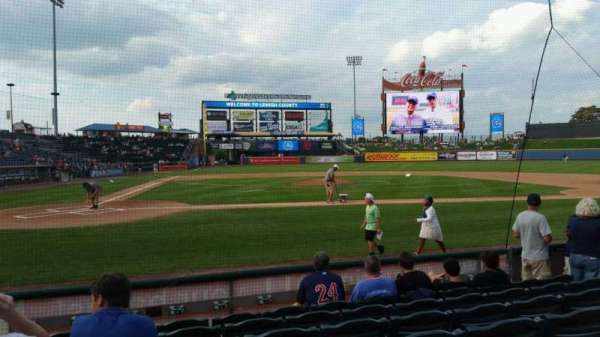 Position directly at top of aisle causes distraction from lots of foot traffic. 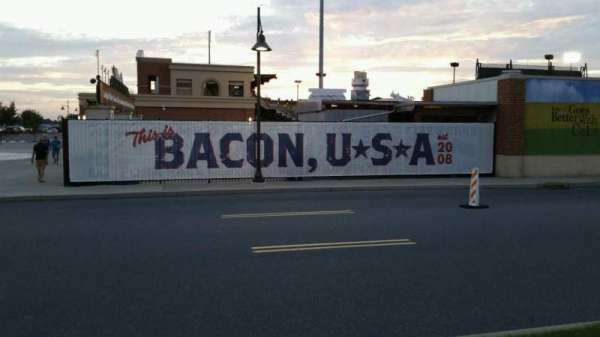 Railing and foot traffic can be distracting.